Guest: Dr. William (Bill) Rowe. Topics: Space medicine issues, magnesium issues, microgravity, ISS experiments, and more. You are invited to comment, ask questions, and discuss the Space Show program/guest(s) on the Space Show blog, http://thespaceshow.wordpress.com. Comments, questions, and any discussion must be relevant and applicable to Space Show programming. Transcripts of Space Show programs are not permitted without prior written consent from The Space Show (even if for personal use) & are a violation of the Space Show copyright. We welcomed back to the show Dr. Bill Rowe for updates on his presentations in China and elsewhere, his continued research on the role of magnesium in space medicine, the role of telomeres and gender crew issues for long duration spaceflight including trips to Mars. During the first segment of our two hour plus program, Dr. Rowe directed us to many of the pages, articles, and documents on his website, www.femsinspace.com. I urge you to access the pages he directs us to at various times during his talk and follow along with him. This is important. In this segment, we talked about the latest telomere research and its application to space flight. Bill proposed ISS rat experiments and what the experiments should tell us. He also talked about the role of magnesium deficiency in cells in spaceflight. He talked about the need to develop a subcutaneous replenishable silicon device/pump to deliver magnesium and explained why this was essential. Dr. Rowe talked about cardio-vascular issues in spaceflight in the context of magnesium and the overall issues of vascular disease. This took us into the area of gender lifespan differences and studies showing that an all female crew to Mars might be desirable. Also in this segment, Dr. Rowe talked extensively about oxidative stress and referred us to his submarine diagram on his website, www.femsinspace.com/Oxidative_stress.htm. Marshall called in to talk about the ISS and the need for artificial gravity, partial gravity, or 1 G. Dr. Rowe said 1 G was essential for humans. Dr. Paul Dear called in from the UK with several questions, including asking about the initiating events for the body to sense microgravity down at the cellular level. Bill & Dr. Dear also talked about genomic selection for astronauts. In the second segment, Dr. Rowe continued his discussion of the first segment topics and his proposed rat experiment regarding telomeres. Many listener calls and emails came in and Dr. Rowe expanded the discussion to the role of calcium for space flight and the calcium/magnesium ratio or relationship. He was asked why magnesium was not discussed by most human factors space medicine doctors. Dr. Jurist was also asked this question during his call, listen to what they said in response to this question. Bill talked about exercise routines for spaceflight & said it was a challenge to know the right exercise RX. Don't miss his comments on this issue. Near the end, he used Columbus and sailing ships as an example saying we are not ready for long duration spaceflight or a trip to Mars. Listen to how he and I explained this during the closing comments for the show as I helped Bill phrase his analogy. 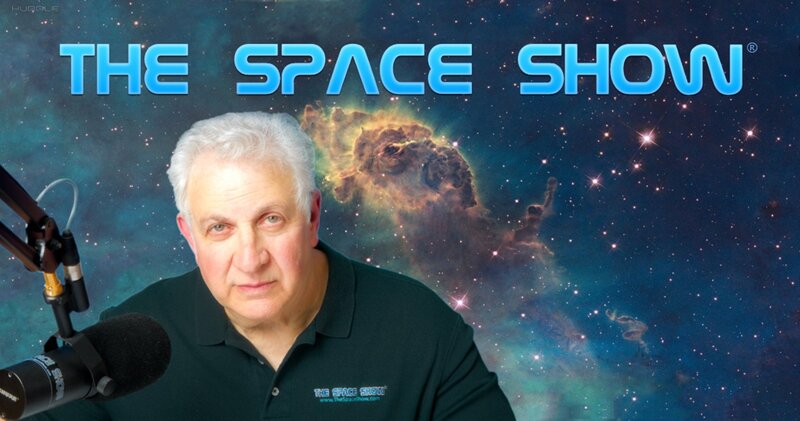 Post your comments/questions for Dr. Rowe on The Space Show blog URL above. Dr. Rowe can be reached via his website.